- 殘編 (Tanya Hsu) on 六月 28, 2016. What keeps an 87-year-“young” grandma dancing at her age? Like Smirnoff’s new goal, the determination to create a more lively and engaging world through the platforms of music and dance, and to encourage us to #KeepItMoving. With a little bit of help from Smirnoff’s new line of premium vodka beverages/coolers, that is. Smirnoff introduces its new line of Electric Flavours created for fun and high-energy occasions like music festivals, with its Keep It Moving campaign. The campaign shines a light on the 87–year-old Baddie Winkle, a festival lover and goer who is always a star on the dance floor. Baddie shows her best moves when she attends electronic music festivals, and there is nothing that can stop her from dancing. “Life is too short to stop having fun and dancing,” said Baddie Winkle, “I don’t let anything in life slow me down,” she added. Her energy is truly inspiring to all. After discovering that carbonated beverages weren’t the best choice for high-energy adult millennials, Smirnoff created three Electric Flavours: Smirnoff Electric Orange, Smirnoff Electric Citrus, and Smirnoff Electric Berry that are non-carbonated so they won’t weigh consumers down. Each flavour is packaged into a 355ml skinny can to make grab-and-go, or grab-and-dance, easier. The cans are designed with a black background with popping neon colours, making them the best accessories to carry at music festivals or EDM parties. 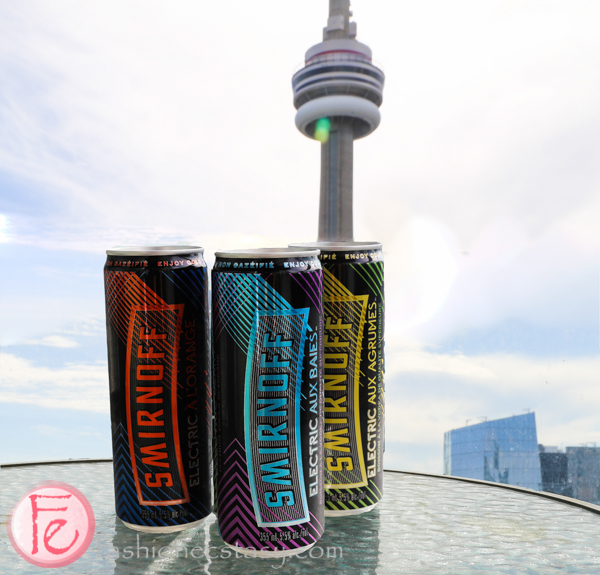 Smirnoff Electric Flavours have 5.5% alcohol by volume (ABV) and are available across Canada in 4-packs of 355ml cans.